The National September 11th Memorial is vast and imposing. 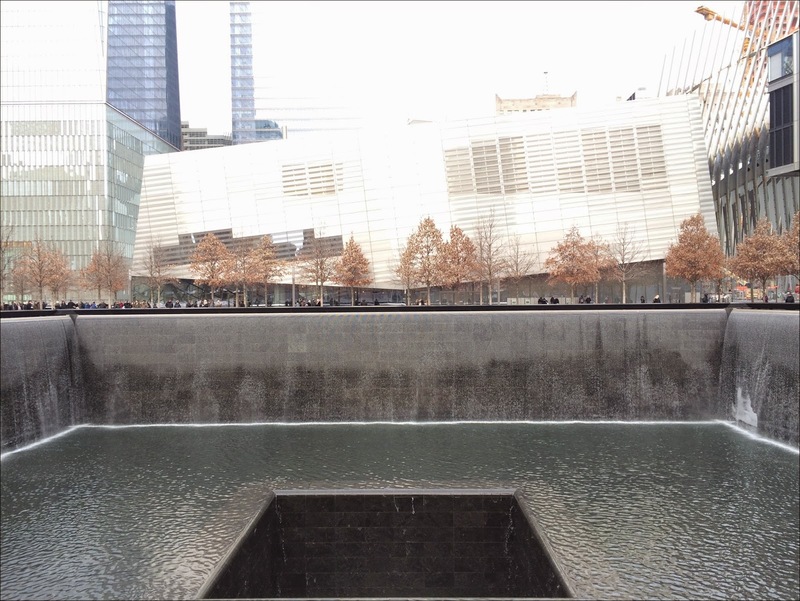 The Memorial is a tribute to the nearly 3,000 people killed in the terror attacks of September 11, 2001 at the World Trade Center site, near Shanksville, Pa., and at the Pentagon, as well as the six people killed in the World Trade Center bombing in February 1993. The plaza is very open, noticeably so when entering the plaza from the surrounding density of Lower Manhattan. White oaks are planted at regular intervals throughout the plaza. The pools are cavernous and contain basins where water falls to unseeable depths. The scale of the site is very impressive. The full buildout of the World Trade Center complex will eventually include over 10,700,000 square feet of office and retail space. The Port Authority of New York will eventually develop 1,300,000 square feet in WTC 5 on the south side of Liberty street. 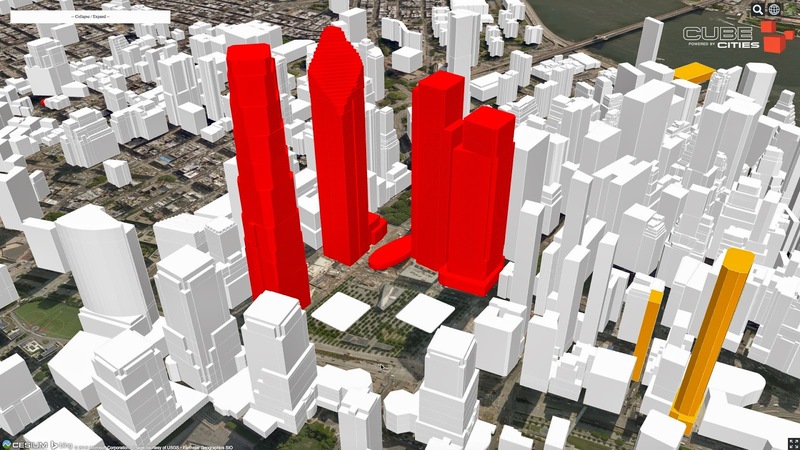 The visualization above shows the density surrounding the complex.